Our experienced professionals will deliver a memorable fly fishing experience for you on the River Test, River Itchen, River Avon or River Kennet. Guided days on the top chalk stream waters include day tickets (permits) and the use of specialist fly fishing equipment. We offer guided days throughout the year, targeting native brown trout in the summer and grayling in the winter on the River Test, River Itchen, River Avon and River Kennet. Come fly fishing with us on the best chalk stream waters, our guided days offer an unbeatable experience in beautiful historic water meadows. With a well deserved reputation of being the ultimate fly fishing experience, chalk stream fly fishing is something very special indeed. Clear water, idyllic ‘picture postcard’ settings and abundant invertebrate life give chalk streams their world wide reputation. Sight fishing tactics are used for large trout and grayling on the River Test, River Itchen, River Avon and River Kennet. If you ask any fly fisher with knowledge of the sport which is the most famous fly fishing chalk stream, they will probably say the River Test. Anglers who have enjoyed River Test fly fishing through the centuries include leading figures of the day such as Sir Humphrey Davy, J.M.W. Turner and Lord Palmerston. Once the sole preserve of the landed gentry you can experience guided days on this iconic chalk stream with all equipment and day tickets (permits) included. Flowing through some of the most picturesque villages in Hampshire, the River Test is the longest chalk stream. Our water is on the Upper River Test and offer classic chalk stream fishing using upstream dry fly only for trout and nymphing for grayling in the winter. John Waller Hills the fly fishing writer summed it up perfectly in the 1920s : ‘She is the greatest trout river in the world’. Get in touch to book your River Test fly fishing experience. Rising in Wiltshire, The River Avon flows towards the sea through Hampshire. 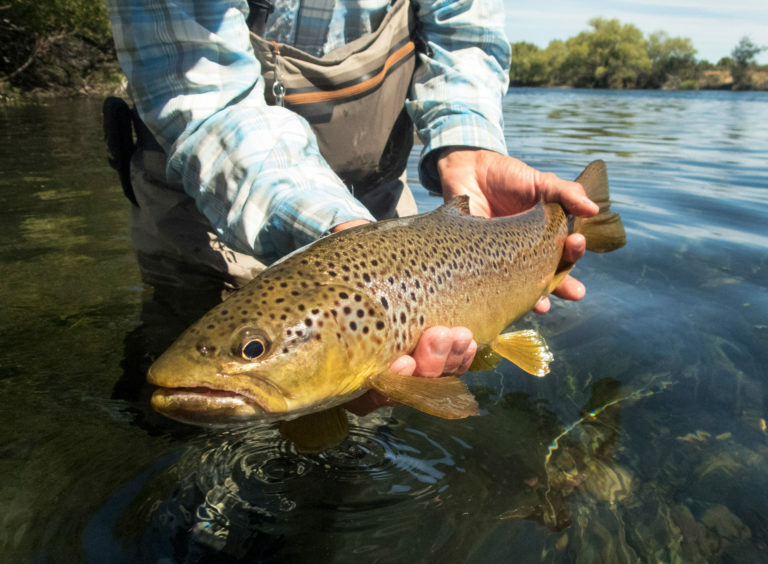 Just as the legendary fly fishers Halford and Skues are synonymous with the Test and Itchen, riverkeeper Frank Sawyer is associated with River Avon fly fishing. Sawyer invented the Pheasant Tail Nymph (or ‘PTN’ in fly fisher code), a simple fly pattern which some claim to be the most successful trout fly pattern in the world. Our guided days on the River Avon offer you fly fishing in a historic setting. Our days on the River Avon include day tickets (permits) and the use of specialist fly fishing equipment. 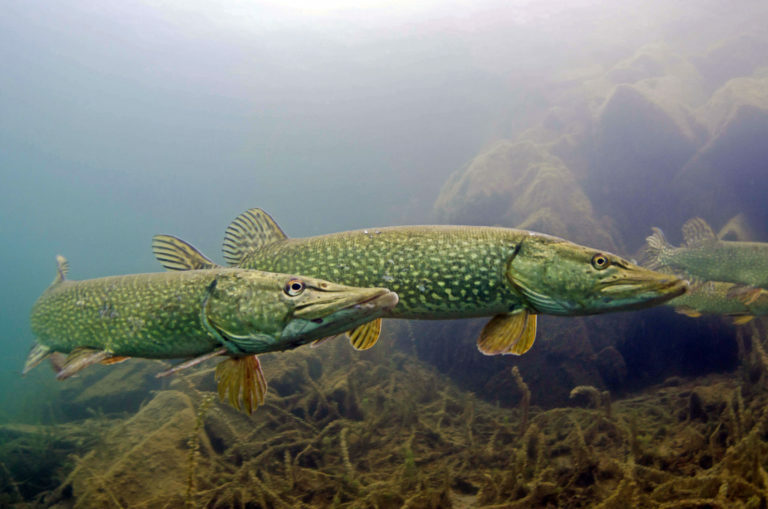 Also a Site of Special Scientific Interest, River Avon is cited as having an excellent mosaic of aquatic habitats, which include extensive areas of gravels essential for spawning and growth of juvenile fry, and the Atlantic salmon Salmo salar. The salmon populations here are typical of a high-quality chalk stream, unaffected by the introduction of genetic stock of non-native origin. The River Kennet flows through the North Wessex Downs Area of Outstanding Natural Beauty and offers memorable fly fishing for wild brown trout and grayling. Species which are sadly declining elsewhere are abundant here including rare brook lamprey, water vole and reed bunting. Our guided days on the River Kennet offer you fly fishing in a clean, clear and wild chalk stream that offers an ideal habitat for wildlife. Known for large hatches of Mayfly and Caddis you can expect exciting sight fishing on the River Kennet. In the 18th Century an extensive carrier system was dug alongside the main River Kennet for agricultural use, creating miles of fishable banks. This ecosystem supports a large and diverse insect population and exceptional stalking opportunities in an unspoilt natural setting. Fly fishing experience days on the River Kennet main river and carriers include day tickets (permits) and the use of specialist fly fishing equipment.